It's time for the new challenge at The Crafty Pad! Basically, we want to see your projects using Dies/Punches! I made a little A6 Easel card using gold card stock which has been in my stash forever! in my stash for a long while! then added some stickles for a bit of sparkle. scalloped oval of the gold cardstock! The sentiment was cut with a circle die them matted onto a scalloped circle! I added some holly leaves & berries which were punched out using a Tonic punch. I added some stickles to them too! Thanks for stopping by to check out my humble little offering! Don't forget to check out the awesome makes on the Crafty Pad challenge blog. 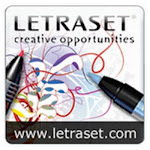 Oopsy, I've had to edit this post to include our two lovely sponsors this week! What a silly billy I am! Who are offering one lucky winner a £5 voucher to spend in their store! 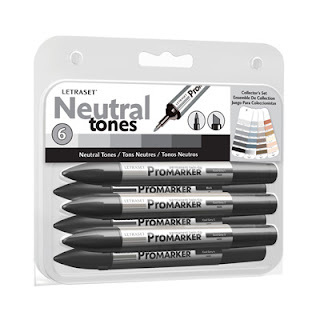 Who are giving away this set fab set of Neutral Tones Promarkers! Two great prizes for you to play for this week! Gorgeous card Dawn. The image is adorable and I love the colours and layout too. Good morning Dawn, I hope you are keeping well. I just adore this card. I love those cute mice with the misteltoe and the beautiful colours you have used. What a fabulous Christmas card you have made and i do like that image. Gorgeous card Dawn, I love the rich red and gold and of course the fab image. What a cute christmas card, Dawn! Thank you so much for joining us at Challenge up your life! Such a great cute card. ~Thanks for joining us Kaboodle Doodles ! What a sweet card, Dawn. Thanks for playing along with us at Kaboodle Doodles this week. This is absolutely gorgeous Dawn, that image is so cute the colour is so wonderful and Christmassy, a super card, thank you for joining our challenge at The Paper Shelter this week. What a cute and lovely A6 easel card. Love it! Thanks for joining us at Kaboodle Doodles’ “All About Friendship” Challenge! Dawn, This is "to die for" cute! Darling mice and clever image. Love that red paper with the kraft. Great card Dawn - love the image you've used and the DP as well! Thanks for setting us such a fab challenge. Hi Dawn, what a sweet Christmas Easel-card. Love the stamp, your colouration and all your lovely details.